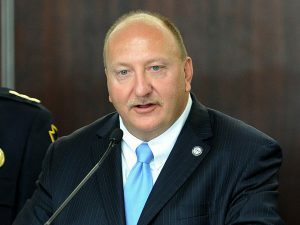 Democrat Mayor Ed Pawlowski has held on for his fourth term as Allentown’s Mayor, defeating Nat Hyman the Republican candidate. According to the Morning Call, Hyman conceded the race late Tuesday night. Hyman is conceding. Pledged would not run again. Pawlowski faced an uphill battle after being indicted on a 54 count federal indictment earlier this year and only winning 28% of the vote for the Democratic nomination. He was able to build enough support though to win in Pennsylvania’s third largest city. I’m guessing congratulations on winning reelection Ed and i’m hoping for this will be your last term as mayor here. What is wrong with the Lehigh County Republicans who couldn’t even get enough Republicans out to vote to beat an indicted Mayorial candidate?